Silver coin of Nahapana, with ruler profile and pseudo-Greek legend "ΡΑΝΝΙΩ ΞΑΗΑΡΑΤΑϹ ΝΑΗΑΠΑΝΑϹ", transliteration of the Prakrit "Raño Kshaharatasa Nahapanasa" (or "King Kshaharata Nahapana"). 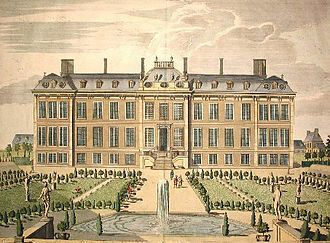 British Museum. Nahapana (r. 1st or 2nd century CE) was an important ruler of the Western Kshatrapas, descendant of the Indo-Scythians, in northwestern India. According to one of his coins, he was the son of Bhumaka. The exact period of Nahapana is not certain. A group of his inscriptions are dated to the years 41-46 of an unspecified era. Assuming that this era is the Shaka era (which starts in 78 CE), some scholars have assigned his reign to 119-124 CE. Others believe that the years 41-46 are his regnal years, and assign his rule to a different period. For example, Krishna Chandra Sagar assigns his reign to 24-70 CE, while R.C.C. Fynes dates it to c. 66-71 CE. A coin of a silver drachma from Nahapana. Obv: Bust of the king crowned with a diadem on the right. Legend in Greek: ΡΑΝΝΙ (ω ΙΑΗΑΡΑΤΑϹ) ΝΑΗΑΠΑ (ΝΑϹ) Rev: An arrow to the left and a lightning to the right. Legend in kharoshthi on the left: Rano Chaharatasa Nahapanasa. 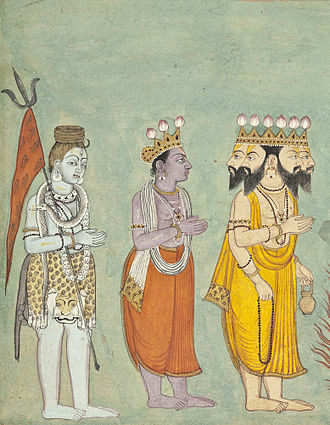 Brahmi legend on the right: Rajna Kshaha (ratasa Nahapanasa). A coin of Nahapana restruck by the Satavahana king Gautamiputra Satakarni. Nahapana's profile and coin legend are still clearly visible. Coin of Gautamiputra Yajna Satakarni struck over a drachm of Nahapana. 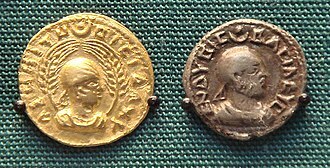 Circa 167-196 CE. 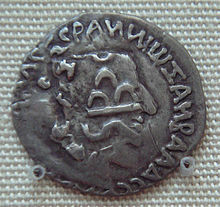 Ujjain symbol and three arched mountain symbol struck respectively on the obverse and reverse of a drachm of Nahapana. He also established the Kshatrapa coinage, in a style derived from Indo-Greek coinage. The obverse of the coins consists of the profile of the ruler, within a legend in Greek. The reverse represents a thunderbolt and an arrow, within Brahmi and Kharoshthi legends. Nahapana is mentioned as a donator in inscriptions of numerous Buddhist caves in northern India. The Nasik and Karle inscriptions refer to Nahapana's dynastic name (Kshaharata, for "Kshatrapa") but not to his ethnicity (Saka-Pahlava), which is known from other sources. Nahapana had a son-in-law named Ushavadata (Sanskrit: Rishabhadatta), whose inscriptions were incised in the Pandavleni Caves near Nasik. Ushavadata was son of Dinika and had married Dakshamitra, daughter of Nahapana. According to the inscriptions, Ushavadata accomplished various charities and conquests on behalf of his father-in-law. He constructed rest-houses, gardens and tanks at Bharukachchha (Bharuch), Dashapura (Mandasor in Malva), Govardhana (near Nasik) and Shorparaga (Sopara in the Thana district). He also campaigned in the north under the orders of Nahapana to rescue the Uttamabhadras who had been attacked by the Malayas (Malavas). 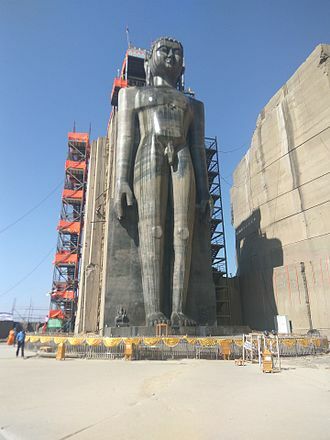 He excavated a cave (one of the Pandavleni Caves) in the Trirashmi hill near Nasik and offered it to the Buddhist monks. Overstrikes of Nahapana's coins by the powerful Satavahana king Gautamiputra Satakarni have been found in a hoard at Jogalthambi, Nashik District. This suggests that Gautamiputra defeated Nahapana. Earlier scholars such as James Burgess have pointed out that Gautamiputra Satakarni and Nahapana were not necessarily contemporaries, since Satakarni mentions that the areas conquered by him were ruled by Ushavadata, rather than Nahapana. According to Burgess, there might have been an interval of as much as a century between the reigns of these two kings. However, most historians now agree that Gautamiputra and Nahapana were contemporaries, and that Gautamiputra defeated Nahapana. M. K. Dhavalikar dates this event to c. 124 CE, which according to him, was the 18th regnal year of Gautamiputra. R.C.C. Fynes dates event to sometime after 71 CE. Nahapana was founder of one of the two major Saka Satrap dynasties in north-western India, the Kshaharatas ("Satraps"); the other dynasty included the one founded by Chashtana. The Chaitya cave complex at Karla Caves was built and dedicated by Nahapana in 120 CE. Karla Caves, inscription 13 of Nahapana. The Western Satraps are known for the construction and dedication of numerous Buddhist caves in Central India, particularly in the areas of Maharashtra and Gujarat. In particular, the chaitya cave complex of the Karla Caves, the largest in South Asia, was constructed and dedicated in 120 CE by Nahapana, according to several inscriptions in the cave. Success!! By Usabhadata, the son of Dinaka and the son-in-law of the king, the Khaharata, the Kshatrapa Nahapana, who gave three hundred thousand cows, who made gifts of gold and a tirtha on the river Banasa, who gave to the Devas and Bramhanas sixteen villages, who at the pure tirtha Prabhasa gave eight wives to the Brahmanas, and who also fed annually a hundred thousand Brahmanas- there has been given the village of Karajika for the support of the ascetics living in the caves at Valuraka without any distinction of sect or origin, for all who would keep the varsha. —  Inscription of Nahapana, Karla Caves. Parts of the Nasik caves also were carved during the time of Nahapana, and the Junnar caves also have inscriptions of Nahapana, as well as the Manmodi caves. "Success ! Ushavadata, son of Dinika, son-in- law of king Nahapana, the Kshaharata Kshatrapa, (...) inspired by (true) religion, in the Trirasmi hills at Govardhana, has caused this cave to be made and these cisterns." ^ Buddhist Reliquaries from Ancient India. British Museum Press. 2000. p. 42. ISBN 978-0-7141-1492-7. ^ Krishna Chandra Sagar (1992). Foreign Influence on Ancient India. Northern Book Centre. p. 133. ISBN 978-81-7211-028-4. ^ a b c R.C.C. Fynes 1995, p. 44. ^ quoted in "The Periplus of the Erythraean Sea: Travel and Trade in the Indian Ocean by a Merchant of the First Century". Fordham University. Retrieved 11 May 2013. ^ Singh, Upinder (2008). A History of Ancient and Early Medieval India: From the Stone Age to the 12th Century. Pearson Education India. p. 383. ISBN 9788131711200. ^ Burgess, James (1880). The Cave Temples of India. Cambridge University Press. pp. 266–268. ISBN 978-1-108-05552-9. ^ Chattopadhyaya, Sudhakar (1974). Some Early Dynasties of South India. Motilal Banarsidass. p. 77. ISBN 978-81-208-2941-1. ^ a b M. K. Dhavalikar 1996, p. 135. ^ Students' Britannica India. 4. Encyclopædia Britannica. 2000. p. 375. ISBN 9780852297605. M. K. Dhavalikar (1996). "Sātavāhana Chronology: A Re-examination". Annals of the Bhandarkar Oriental Research Institute. 77 (1/4): 133–140. JSTOR 41702166. R.C.C. Fynes (1995). "The Religious Patronage of the Satavahana Dynasty". South Asian Studies. 11 (1): 43–50. doi:10.1080/02666030.1995.9628494. , by Durga Prasad, with numerous references to Nahapana. Brahmi is the modern name given to one of the oldest writing systems used in South and Central Asia from the 1st millennium BCE. Brahmi is an abugida that thrived in the Indian subcontinent and uses a system of marks to associate vowels with consonant symbols. It evolved into a host of other scripts that continue in use, Brahmi is related to the ancient Kharosthi script, which was used in what is now eastern Afghanistan and Pakistan. Kharosthi died out in ancient times, the best-known Brahmi inscriptions are the rock-cut edicts of Ashoka in north-central India, dating to 250–232 BCE. The script was deciphered in 1837 by James Prinsep, an archaeologist, Brahmi was at one time referred to in English as the pin-man script, that is stick figure script. Thence the name was adopted in the work of Georg Bühler. The Gupta script of the 5th century is sometimes called Late Brahmi, the Brahmi script diversified into numerous local variants, classified together as the Brahmic scripts. Dozens of modern scripts used across South Asia have descended from Brahmi, one survey found 198 scripts that ultimately derive from it. The script was associated with its own Brahmi numerals, which provided the graphic forms for the Hindu–Arabic numeral system now used through most of the world. The Brahmi script is mentioned in the ancient Indian texts of Hinduism and Buddhism, for example, the Lipisala samdarshana parivarta lists 64 lipi, with the Brahmi script starting the list. 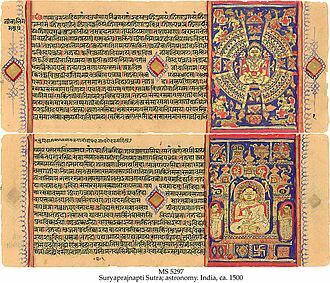 The Lalitavistara Sūtra states that young Siddhartha, the future Buddha, mastered philology and other scripts from Brahmin Lipikara, a shorter list of eighteen ancient scripts is found in the texts of Jainism, such as the Pannavana Sutra and the Samavayanga Sutra. These Jaina script lists include Brahmi at number 1 and Kharoshthi at number 4 but Javanaliya, while the contemporary Kharosthi script is widely accepted to be a derivation of the Aramaic alphabet, the genesis of the Brahmi script is less straightforward. Salomon reviewed existing theories in 1998, while Falk provided an overview in 1993, an origin in Semitic scripts has been proposed by some scholars since the publications by Albrecht Weber and Georg Bühlers On the origin of the Indian Brahma alphabet. The text has been ascribed to different dates between the 1st and 3rd centuries CE, but a mid-1st-century date is now the most commonly accepted. The Erythraean Sea, or in modern spelling, Eritrean Sea is presently a Greek name for the Red Sea, to the ancient Greeks it included the Indian Ocean, the work consists of 66 chapters, most of them about the length of a long paragraph in English. For instance, the short Chapter 9 reads in its entirety, the imports to this are as aforesaid, and from it likewise are exported the same goods, and fragrant gum called mokrotou. The inhabitants who trade here are more peaceful, in many cases, the description of places is sufficiently accurate to identify their present locations, for others, there is considerable debate. The description of the Indian coast mentions the Ganges River clearly, yet after that is somewhat garbled, the Periplus says that a direct sailing route from the Red Sea to the Indian peninsula across the open ocean was discovered by Hippalus. Many trade goods are mentioned in the Periplus, but some of the words naming trade goods are seen nowhere else in ancient literature, for example, one trade good mentioned is lakkos chromatinos. The name lakkos appears nowhere else in ancient Greek or Roman literature, some other named trade goods remain obscure. In the 10th-century manuscript, the text is attributed to Arrian, the Periplus was edited by Sigmund Gelen and first published in a modern edition by Hieronymus Froben in 1533. One historical analysis, published by Schoff in 1912, narrowed the date of the text to 60 CE. Schoff additionally provides an analysis as to the texts original authorship, and arrives at the conclusion that the author must have been a Greek in Egypt. By Schoffs calculations, this would have been during the time of Tiberius Claudius Balbilus, john Hill maintains that the Periplus can now be confidently dated to between 40 and 70 AD and, between AD40 and 50. Because of the absence of any account of the journey up the Nile and across the desert from Coptos, ships from Himyar regularly traveled the East African coast. Ujjain is the largest city in Ujjain district of the Indian state of Madhya Pradesh. It is the fifth largest city in Madhya Pradesh by population and is the centre of Ujjain district. An ancient city situated on the bank of the Kshipra River. It emerged as the centre of central India around 600 BCE. 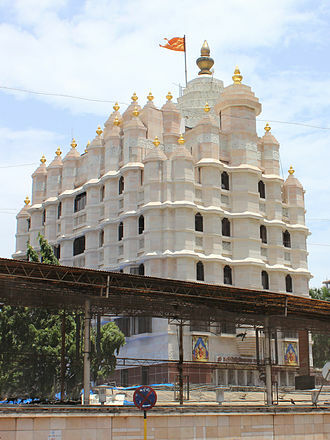 It was the capital of the ancient Avanti kingdom, one of the sixteen mahajanapadas and it remained an important political and cultural centre of central India until the early 19th century, when the British administrators decided to develop Indore as an alternative to it. Ujjain continues to be an important place of pilgrimage for Shaivites, Ujjain has been selected as one of the hundred Indian cities to be developed as a smart city under PM Narendra Modis flagship Smart Cities Mission. Excavations at Kayatha have revealed chalcolithic agricultural settlements dating to around 2000 BCE, chalcolithic sites have been discovered at other areas around Ujjain, including Nagda, but excavations at Ujjain itself have not revealed any chalcolithic settlements. H. D.
Sankalia theorized that the settlements at Ujjain were probably destroyed by the Iron Age settlers. According to Hermann Kulke and Dietmar Rothermund, whose capital was Ujjain, was one of the earliest outposts in central India, around 600 BCE, Ujjain emerged as the political and cultural centre of Malwa plateau. The ancient walled city of Ujjain was located around the Garh Kalika hill on the bank of river Kshipra and this city covered an irregular pentagonal area of 0.875 km2. 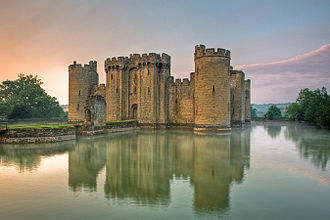 It was surrounded by a 12 m high mud rampart, the archaeological investigations have indicated the presence of a 45 m wide and 6.6 m deep moat around the city. According to F. R. Allchin and George Erdosy, these city defences were constructed between 6th and 4th centuries BCE, dieter Schlingloff believes that these were built before 600 BCE. This period is characterised by structures made of stone and burnt-brick and weapons made of iron, according to the Puranic texts, a branch of the legendary Haihaya dynasty ruled over Ujjain. A chaitya is a Buddhist shrine or prayer hall with a stupa at one end. In modern texts on Indian architecture, the term chaitya-griha is often used to denote an assembly or prayer hall houses a stupa. Chaityas were probably constructed to hold large numbers of devotees and to shelter for them. An ancient practice, rock-cut architecture has had a tradition in Buddhism. Ancient Buddhist chaityas can be found in parts of Maharashtra. Over the course of time, the wall separating the stupa from the hall was removed to create a hall with a colonnade around the nave. The chaitya at Bhaja Caves was constructed in the first century BCE and it consisted of an apsidal hall with stupa. The columns sloped inwards in the imitation of wooden columns that would have been necessary to keep a roof up. The ceiling was vaulted with wooden ribs set into them. The walls were polished in the Mauryan style and it was faced by a substantial wooden facade. This created the appearance of an ancient Indian mansion, in Bhaja, as in other chaityas, the entrance acted as the demarcation between the sacred and the profane. Indo-Scythians is a term used to refer to Scythians, who migrated into parts of central and western South Asia from the middle of the 2nd century BC to the 4th century AD. The first Saka king in south Asia was Maues who established Saka power in Gandhara, Indo-Scythian rule in northwestern India ended with the last Western Satrap Rudrasimha III in 395 CE who was defeated by the Indian Emperor Chandragupta II of the Gupta Empire. 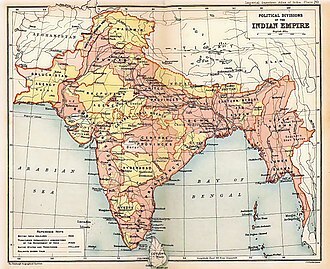 The power of the Saka rulers started to decline in the 2nd century CE after the Indo-Scythians were defeated by the south Indian Emperor Gautamiputra Satakarni of the Satavahana dynasty, the Saka kingdom was completely destroyed by Chandragupta II of the Gupta Empire in the 4th century. The invasion of India by Scythian tribes from Central Asia, often referred to as the Indo-Scythian invasion, ancient Roman historians including Arrian and Claudius Ptolemy have mentioned that the ancient Sakas were basically nomads. However, Italo Ronca, in his study of Ptolemys chapter vi, marks the statement, The land of the Sakai belongs to nomads, they have no towns but dwell in forests. The ancestors of the Indo-Scythians are thought to be Sakas tribes, one group of Indo-European speakers that makes an early appearance on the Xinjiang stage is the Saka. According to these ancient sources Modu Shanyu of the Xiongnu tribe of Mongolia attacked the Yuezhi, leaving behind a remnant of their number, most of the population moved westwards. Around 175 BC, the Yuezhi tribes, were defeated by the Xiongnu tribes, they displaced the Sakas, who migrated south into Ferghana and Sogdiana. 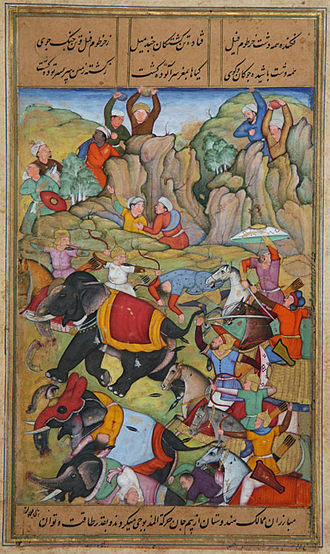 According to the Chinese historical chronicles, The Yuezhi attacked the king of the Sai who moved a distance to the south. The Sakas seem to have entered the territory of the Greco-Bactrian Kingdom around 145 BC, the Sakas called home, an area of Southern Afghanistan, called after them Sistan. From there, they expanded into present day Iran as well as northern India, where they established various kingdoms. The region is known as Seistan. 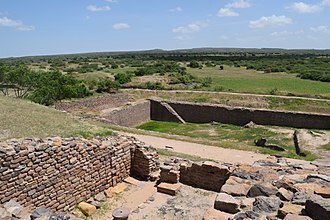 The presence of the Sakas in Sakastan in the 1st century BC is mentioned by Isidore of Charax in his Parthian stations, the first Indo-Scythian kingdom in south western Asia was located in Pakistan in the areas from Abiria to Surastrene, from around 110 to 80 BC. The Western Satraps, Western Kshatrapas, or Kshaharatas were Indo-Scythian rulers of the western and central part of India. They are so named in contrast to the Northern Satraps who ruled around East Punjab, the Western Satraps were contemporaneous with the Kushans who ruled the northern part of the Indian subcontinent and were possibly their overlords, and the Satavahana who ruled in Central India. Although they called themselves Satraps on their coins, leading to their designation of Western Satraps. The power of the Saka rulers started to decline in the 2nd century CE after the Saka rulers were defeated by the south Indian Emperor Gautamiputra Satakarni of the Satavahana dynasty, the Saka kingdom was completely destroyed by Chandragupta II of the Gupta Empire in the 4th century CE. Altogether, there were 27 independent Western Satrap rulers during a period of about 350 years, the word Kshatrapa stands for satrap, itself descended from Old Persian and which means viceroy or governor of a province. The Western Satraps are thought to have started with the rather short-lived Kshaharata dynasty, the term Kshaharata is known from the 6 CE Taxila copper plate inscription, in which it qualifies the Indo-Scythian ruler Liaka Kusulaka. The Nasik inscription of the 19th year of Sri Pulamavi mentions the Khakharatavasa, the earliest Kshaharata for whom there is evidence is Abhiraka, whose rare coins are known. He was succeeded by Bhumaka, father of Nahapana, who used on his coins the title of Satrap. Bhumaka was the father of the great ruler Nahapana, according to one of the latters coins and his coins bear Buddhist symbols, such as the eight-spoked wheel, or the lion seated on a capital, a representation of a pillar of Ashoka. Nahapana succeeded to him, and became a powerful ruler. He occupied portions of the Satavahana empire in western and central India, Nahapana held sway over Malwa, Southern Gujarat, and Northern Konkan, from Bharuch to Sopara and the Nasik and Poona districts. His son-in-law, the Saka Ushavadata, is known from inscriptions in Nasik and Karle to have been viceroy of Nahapana, Nahapana is mentioned in the Periplus of the Erythraean Sea under the name Nambanus, as ruler of the area around Barigaza,41. The genus is widespread throughout the temperate and tropical regions of Africa and Europe. The word mallow is derived from Old English malwe, which was imported from Latin malva, cognate with Ancient Greek μαλάχη meaning mallow, a number of species, previously considered to belong to Lavatera, have been moved to Malva. The leaves are alternate, palmately lobed, the flowers are from 0. 5–5 cm diameter, with five pink or white petals. The colour mauve was in 1859 named after the French name for this plant, several species are widely grown as garden flowers, while some are invasive weeds, particularly in the Americas where they are not native. Many species are edible as leaf vegetables and commonly foraged in the West, known as ebegümeci in Turkish, it is used as vegetable in Turkey in various forms such as stuffing the leaves with bulgur or rice or using the boiled leaves as side dish. Malva verticillata is grown on a commercial scale in China. Very easily grown, short-lived perennials are grown as ornamental plants. Mild tasting, young leaves can be a substitute for lettuce. The buds and flowers can be used in salads, cultivation is by sowing the seeds directly outdoors in early spring. 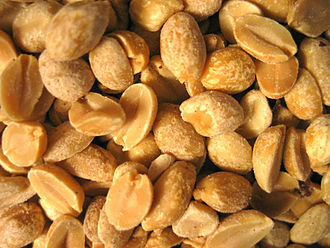 The seed is easy to collect, and they will spread themselves by seed. In Catalonia they use the leaves to cure stinging nettles sting, bodos of Northeast India cultivate a sub-species of malva called lapha and use it extensively in their traditional cuisine, although its use is not much known among other people of India. Malva Leaves are a highly cherished vegetable dish in north Indian state of Kashmir, Malva sp. leaves have been used in the traditional Austrian medicine internally as tea or externally as baths for treatment of disorders of the skin, gastrointestinal tract and respiratory tract. This plant is one of the earliest cited in recorded literature, the third century BC physician Diphilus of Siphnus wrote that juice lubricates the windpipe, and is easily digested. Horace mentions it in reference to his own diet, which he describes as simple, Me pascunt olivae. Mandsaur or Mandsour is a city in the Malwa region and district of Madhya Pradesh state of central India. It is the headquarters of Mandsaur District. Mandsaur is rich in archaeological and historical heritage But what makes it famous is the temple of Lord Pashupatinath located on the bank of Shivna river and its idol has parallel only in Nepal. The most common language is Malvi. It is famous for production of Opium around the world. The slate pencil industry is the industry of the district. The name Mandsaur evolved from Marhsaur, which originated from Marh and Saur, the city consists of ten puras, which gave it the name Dashpura. It is believed that place was once the maternal residence of Mandodari. In old city areas, people worship the idol of Ravana, a 35-feet ten headed sitting idol of Ravana can be seen in the Khanpura area of the city. The hero first assailed the mountainous country called Rohitaka that was dear unto Kartikeya, the encounter the son of Pandu had with the Mattamyurakas of that country was fierce. 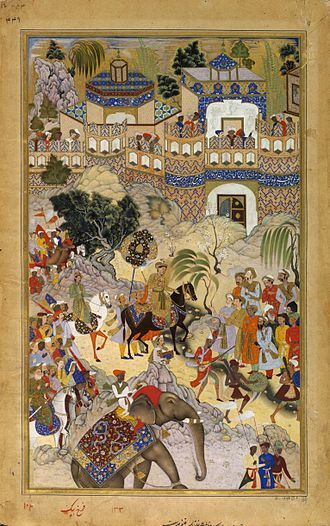 And the illustrious Nakula after this, subjugated the whole of the desert country, and the hero had a fierce encounter with the royal sage Akrosa. Making circuitous journey that bull among men conquered the tribes called the Utsava-sanketas, epigraphical discoveries have brought to light two ancient royal houses, who call themselves as Aulikaras and ruled from Dashapura. The first dynasty, who ruled from Dashapura from the beginning comprised the kings in the order of succession. Bandhuvarma was contemporary of Kumaragupta I, there is an inscription about Bandhuvarma at Mandsaur. The silk workers had constructed a Sun temple here which was repaired by Bandhuvarma in Samvat 493 and this indicates that he was present there till 436 CE. After Parakshadharma, the ruler of Mandsaur was Yashodharma, who is identified with Vishnuvardhana, in all probabilities, he was the son and immediate successor of Prakashadharma. Yashodharma Vishnuvardhana assumed the title of Samrat after he occupied the territories of Bandhuvarma and it is mentioned that Yashodharma Vishnuvardhana had assumed the title of ‘Maharajadhiraja’ or Emperor. Chashtana was a ruler of the Saka Western Satraps in northwestern India during 78-130 CE. He was satrap of Ujjain during that period, among the modern scholars, the beginning of the Saka era is widely equated to the ascension of Chashtana in 78 CE. A statue found in Mathura together with statues of the Kushan king Kanishka and Vima Taktu, Chashtana is called Tisman by the bards, a spelling that matches the Greek rendition of his name more closely. According to Ptolemy, Chashtana directly ruled Ujjain, while Paithan continued to be ruled by Siristolemaios, a part of this region around the river mouth is Patalena, above which is Abiria. That which is about the mouth of the Indus and the Canthicolpus bay is called Syrastrena, in the island formed by this river are the cities Pantala, Barbaria. The Larica region of Indoscythia is located eastward from the swamp near the sea, on the east side of the river Ozena-Regia Tiastani Minagara. Chashtana was the grandfather of the great Western Satrap conqueror Rudradaman I, Chashtana was founder of one of the two major Saka Satrap dynasties in north-western India, the Bhadramukhas, the other, short-lived dynasty, the Kshaharatas, included Bhumaka and Nahapana. Approximate territory of the Western Satraps (35–405). Coin of Bhumaka (?–119). Obv: Arrow, pellet, and thunderbolt. Kharoshthi inscription Chaharasada Chatrapasa Bhumakasa: "Ksaharata Satrap Bhumaka". Rev: Capital of a pillar with seated lion with upraised paw, and wheel (dharmachakra). Brahmi inscription: Kshaharatasa Kshatrapasa Bhumakasa. Coin of Nahapana (119–124). British Museum. Karla Caves, inscription of Nahapana. The treasure of the royal burial Tillya Tepe is attributed to 1st century BC Sakas in Bactria. Bearded man with cap, probably Scythian, Bamiyan, 3rd–4th centuries. Detail of one of the Orlat plaques seemingly representing Scythian soldiers. Cave No.19 of Satavahana king Kanha at the Nasik caves, 1st century BCE. Satavahana depiction of the city of Kushinagar in the War over the Buddha's Relics, South Gate, Stupa no. 1, Sanchi. First part of the inscription of Queen Gotami Balasiri, Nasik caves, Cave No.3. Inscription of "Satakarni, son of Gautami, establishing a tank garden, an auditorium, a devakula etc... - Circa 2nd Century CE - Chaurasi - Mathura Museum. Cave No.3 at the Pandavleni Caves in Nashik was probably started during the reign of Gautamiputra Satakarni, and was finished and dedicated to the Buddhist Samgha during the reign of his son Vasishthiputra Pulumavi. The Jantar Mantar at Ujjain was commissioned by Jai Singh II (1688-1743) of Jaipur. Karla caves Chaitya pillars (left) compared to Pandavleni Caves Cave No10 pillars (right), all built by Ushavadata, son-in-law of Nahapana, circa 120 CE. Nasik Cave inscription No.10. of Ushavadata, Cave No.10. Idol of Lord Pashupatinath in Mandsaur. Silver coin of Chashtana, with ruler profile and pseudo-Greek legend. British Museum. Coin of the Western Satrap Chashtana. The obverse legend typically reads "ΡΑΝΝΙΩ ΙΑΤΡΑΠAC CIASTANCA" (corrupted Greek script), transliteration of the Prakrit Raño Kshatrapasa Chashtana: "King and Satrap Chashtana". Inscribed image of Saka King Chastana. Kushan Period. Coin of the Western Satrap Chashtana. 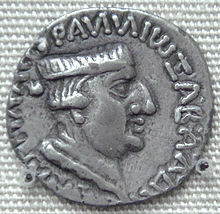 The obverse legend typically reads "PANNIΩ IATPAΠAC CIASTANCA" (corrupted Greek script), transliteration of the Prakrit Raño Kshatrapasa Chashtana: "King and Satrap Chashtana". An early chaitya at Bhaja Caves; wooden architecture imitated in stone, with decorative roof timbers in wood. 2nd century BCE. Outside the chaitya at Cave 19, Ajanta Caves, also with four zones using small repeated "chaitya arch" motifs. Development of the chaitya arch from the Lomas Rishi Cave on, from a book by Percy Brown. The Periplus explains that coins of the Indo-Greek king Menander I were current in Barigaza. Sage Bhrigu's ashram is located on the Narmada banks. Path to the Karla caves. The Great Chaitya, partially obscured from view, in the 19th century. Statue Of Buddha At Sopara Stupa. Coin of Nahapana (119-124 CE). Obv: Bust of king Nahapana with a legend in Greek script "PANNIΩ IAHAPATAC NAHAΠANAC", transliteration of the Prakrit Raño Kshaharatasa Nahapanasa: "King Kshaharata Nahapana". Rev: Thunderbolt and arrow, within a Prakrit Brahmi legend to right: Rajno Ksaharatasa Nahapanasa: Prakrit Kharoshti legend to left: Rano Ksaharatasa Nahapanasa.